This past December I posted several of my favority Christmas cookie recipes, but I did not actually document every cookie I made. Each year I try to make a mix of traditional family favorites, and new recipes we are less familiar with. One of those new recipes this year came from a good friend of mine. My friend Elizabeth over at Food-Ramblings brought some of her ricotta cookies over to my house one night to snack on while we watched TV. After giving them a try, I knew I had a new cookie recipe to try. When Christmas rolled around, my family definitely concurred. At one point my brother and his girlfriend were rationing the ricotta cookies in the little box of cookies I gave them to bring home. The great thing about these cookies is that they are a good neutral. They have a light, fresh taste with a small dollup of easy frosting: perfect! Last week I was asked to make a few cookies for a “coffee break” event at my school and I thought these would be a perfect addition to the cookie tray. Since they are more plain in flavor, they work really well as a compliment to coffee and tea, but they are also tasty enough to stand on their own. Needless to say, these were a big hit at the coffee break! It’s proof that they work twelve months a year! Use an electric mixer to cream together the butter, ricotta, and sugar. Once that mixture is uniform, light, and fluffy, add the eggs one at a time. Then add the vanilla. In a separate bowl combine the flour and baking powder. Slowly add the flour and baking powder mixture to the wet mixture. Mix until combined but try no to over mix. Portion the cookie dough out with a small ice cream scoop or teaspoon. 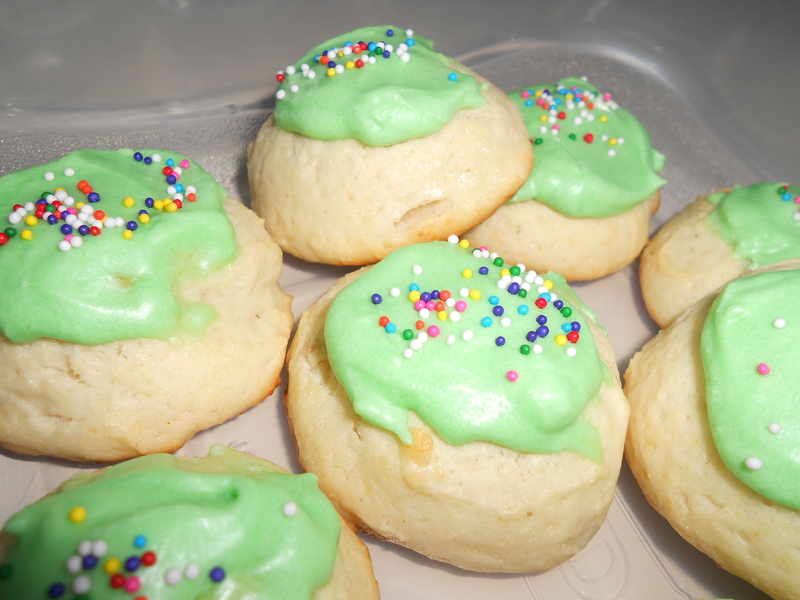 These cookies are (in my experience) made pretty small, and they do puff up a little when they bake. 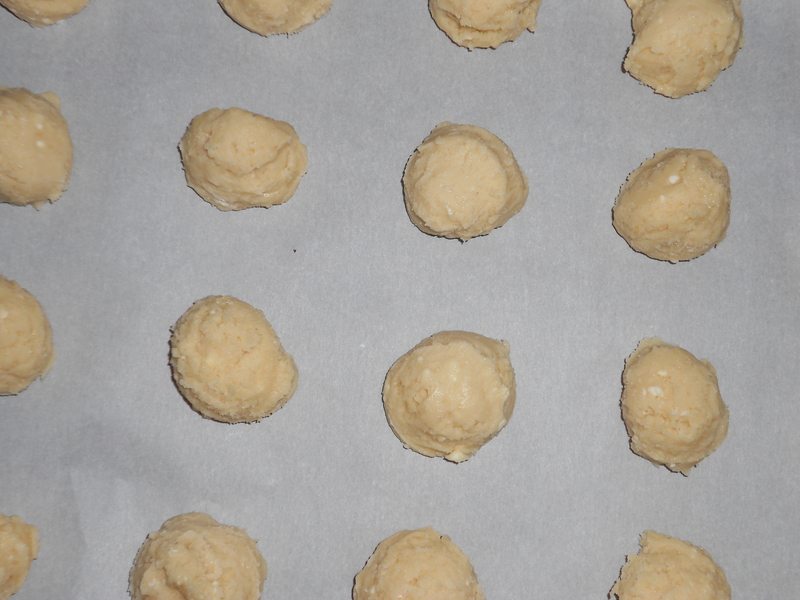 Place the small balls of cookie dough on a parchement lined cookie sheet and bake about 12 minutes until they are just looking set and ever so slightly golden brown. While the cookies are cooling, whip together the frosting ingredients. Make sure the cookies are completely cool before you frost them. Otherwise, they frosting will just slide right off. 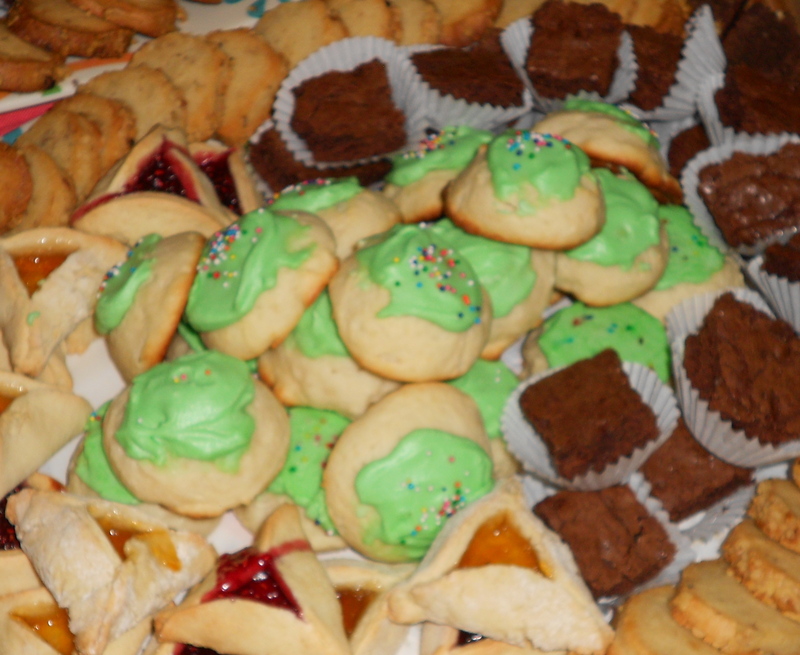 Do you have any Christmas cookies that you like to make year round?